Heart disease is a serious medical condition that affects many people in North Texas and Addison Internal Medicine is here to help. We use the latest in medical technology and techniques to help our patients manage their heart disease. Our goal is to help our patients get back to the road of recovery. The term “heart disease” refers to a variety of medical conditions, not just one. Because heart disease can come in several different forms, Addison Internal Medicine uses a comprehensive approach to care for our patients. Heart disease can be brought on by several things, including diet, lifestyle choices and genetics. In fact, many people who live healthy lives could still end up suffering from heart disease because of heredity. As a result, it’s a good idea to take part in regular heart screenings for heart disease. At Addison Internal Medicine, our internists use state-of-the-art medical technology to offer effective treatment solutions. 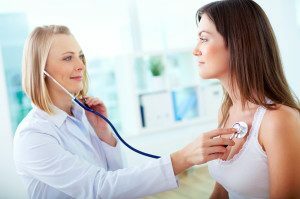 We assess everyone to create heart disease treatment programs customized to the patient’s unique needs and medical history. We also offer follow-up appointments to ensure that treatment regimens are successful and that quality of life has improved. To schedule an appointment to discuss heart disease, contact Addison Internal Medicine at 972-733-3090.